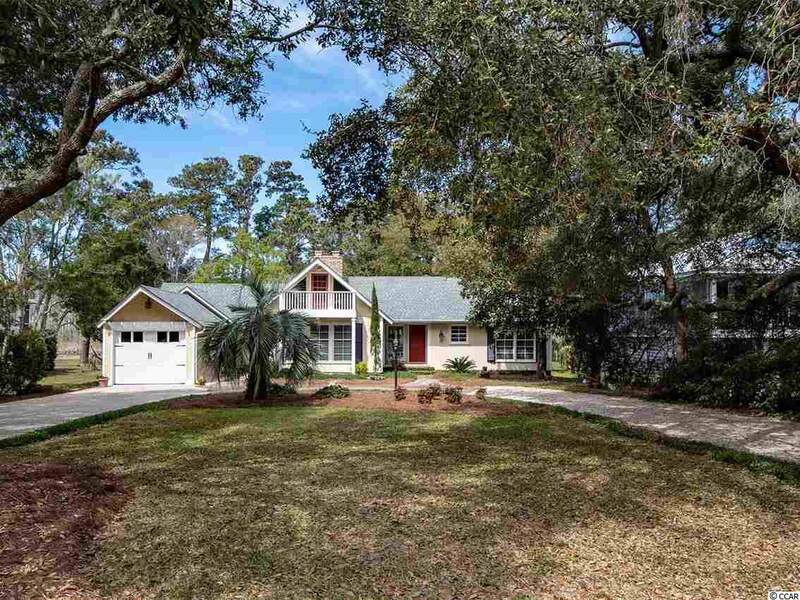 29 Lakeshore Drive is located in North Litchfield, a well-established Beach Side community on the South Carolina coast known for its stable beach and easy access. 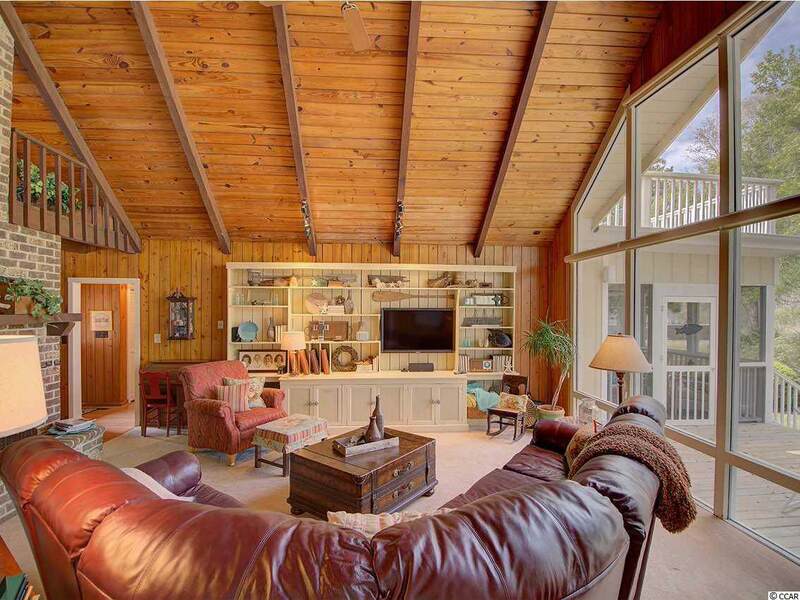 This old-style craftsman-like One-level 3 bedroom, 3 bath beach cottage is located on a serene lake and only 3 blocks to the wide sandy beach. The home has been well maintained and updated thru the years, including new roof (2016) and HVAC (2019) Vaulted wood & beam ceilings in most every room, gas fireplace, formal and casual dining areas, wide-open Great Room with towering cathedral ceilings, split bedroom plan, home audio system, hardwood floors and lots of character. An upstairs loft offers a cozy office or extra sleeping area. 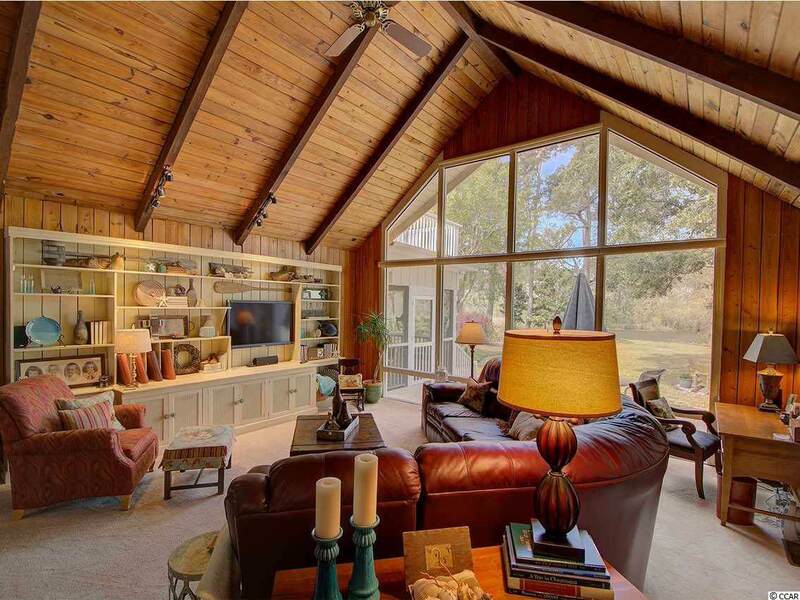 Spend hours relaxing and enjoying nature from the screened porch or patio that overlooks the water and undisturbed natural area. There is and a big yard from which you can launch a canoe for a quick cruise across the lake. Enjoy the convenience and privacy of a large Sun Deck on the rear of the house to work on your tan. Full-time residents and 2nd home owners seamlessly co-exist is this relaxed neighborhood. Short term vacation rentals are allowed but this house has been a full-time residence for many years. No HOA fees unless you want to be part of the voluntary association. The North Litchfield community is bordered on the north by Huntington Beach State Park giving you miles of beach to stroll along. Close-by outside activities include award winning golf, kayaking, fishing, boating, walking and bicycling. Quaint local shops, sumptuous restaurants, grocery stores and medical services are nearby as well. Historic Georgetown is just a 15 minute car ride away. Conveniently located just 30 minutes south of the Myrtle Beach International airport and all the tourist attractions in the area, or enjoy a day trip to Charleston. 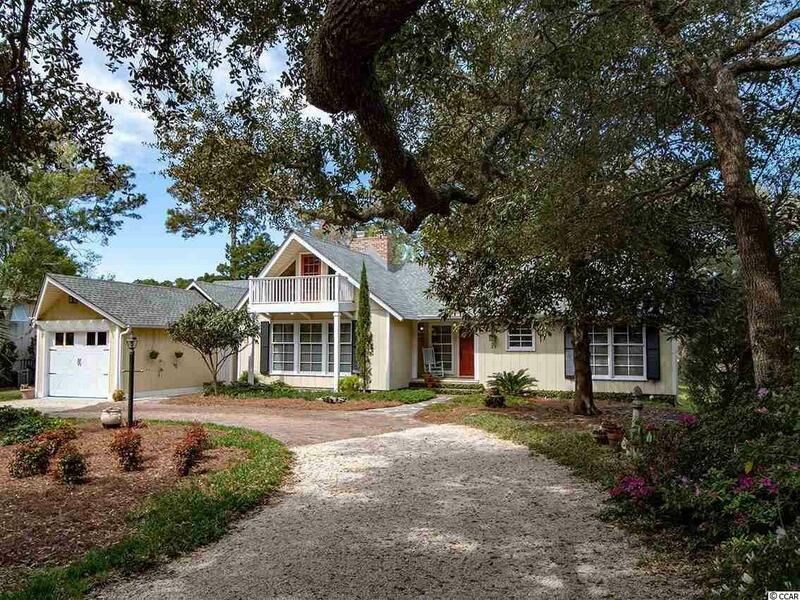 Go ahead and give yourself permission to totally immerse yourself into the South Carolina Lowcountry lifestyle and call today for a tour of this special property.